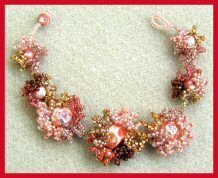 Description: Construct unique colorful flowers using increasing peyote to create ruffles around a center bead. 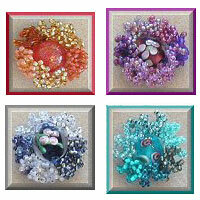 Combine the flowers into a bracelet, necklace, pendant or earrings. Instructions with a full color photo of the project can be purchased for $10 PDF format.